Successful all-rounder. 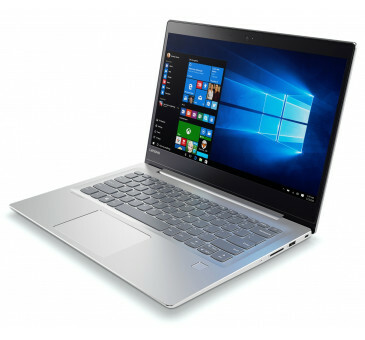 An affordable Ultrabook with Full HD IPS display, GeForce 940MX, and Core i5-7200U - Lenovo intends this interesting package mainly for students. You can find out in our detailed review whether the IdeaPad 520s can convince us. Hands-down, the Ideapad 520s is one of the best budget-oriented 14-inch notebooks with little to no trade-offs. It has stable construction, comfortable input devices and fairly portable dimensions thanks to the thin bezels around the screen giving that 2017 looks. Lenovo IdeaPad 520s. Test złotego ultrabooka. Positive: High mobility; light weight; metal case; good cooling and silent system; long battery life; stylish design.